Give the Gift of a CUSTOM SPA PACKAGE or pamper yourself! Visit Nail, Hair or other Services tab to find the perfect combination to take advantage of this month combo special!!! 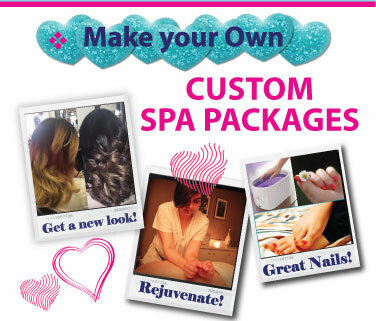 Book your CUSTOM SPA TODAY!